Duct systems in the home are often forgotten about. These duct systems are the tubes that are used to distribute air into rooms in your home. The duct system can make a huge difference in the cost and efficiency of how your home is heated and cooled. If working correctly, a duct system will allow air to move properly throughout your home keeping you comfortable year round. 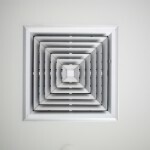 If you are having problems with air not reaching certain rooms of your Houston home you may need to consider duct replacement. Ductwork can deteriorate over time forming cracks that allow conditioned air to escape in your attic and hot, dirty air will get pulled back into your home. It is important to pay attention to signs of deteriorating ductwork to protect your health, improve your comfort, and save money. A Department of Energy study states that typical duct systems lose 25 to 40 percent of the energy put out by the central furnace, heat pump, or air conditioner. This much wasted energy increases your utility bills and causes hot and cold spots in your home. Up to one third of the heating and cooling that you pay for doesn’t even make it into the rooms in your home. • Leaky ducts- This is very common. HVAC system efficiency can be diminished as much as 40%. Fortunately, Air Specialist can fix this problem. • Un-insulated or poorly insulated ducts- These can waste a large amount of energy. For example in the summer you’re blowing cooled air through un-insulated ductwork that’s been heated to about 120 degrees. • Safety- Pressure imbalances caused by air duct leakage can lead to back drafting in combustion appliances such as furnaces, wood stoves, and gas ranges. If this happens you risk exposure to carbon monoxide. If you are concerned about your ductwork don’t hesitate to call us. We offer duct replacement, duct cleaning services, and other heating and cooling services. Contact us today.